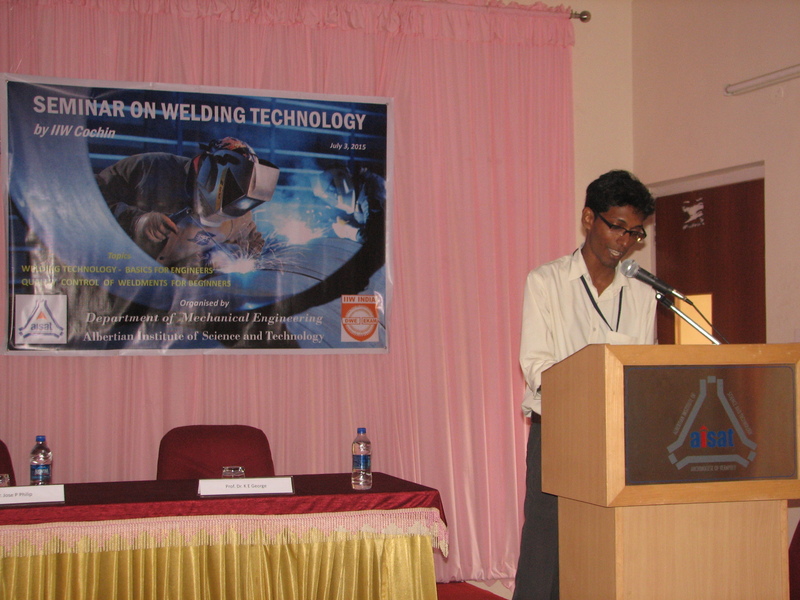 Albertian Institute of Science And Technology (AISAT), Kalamassery and Indian Institute of Welding (IIW) Cochin jointly organised a one day seminar on welding technology at AISAT on July 3, 2015. The seminar started at 9.30 am with a brief opening ceremony presided over by Rev. Dr. Clement Valluvassery, Manager, AISAT. 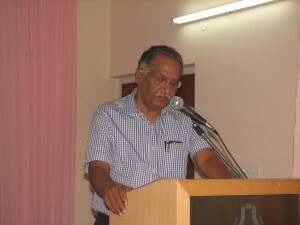 Prof. Dr. K E George, Principal, AISAT delivered the welcome speech; and Mr. Jose P Philip, Chairman, IIW Cochin and Fr. John Christopher, Asst. Manager, AISAT offered felicitations. 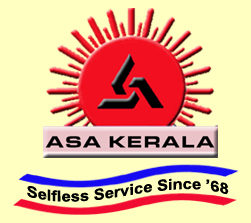 Mr. Jose P Philip warmly acknowledged the efforts of the AISAT management for the collaboration of the institution with various industrial bodies including IIW Cochin. Fr. 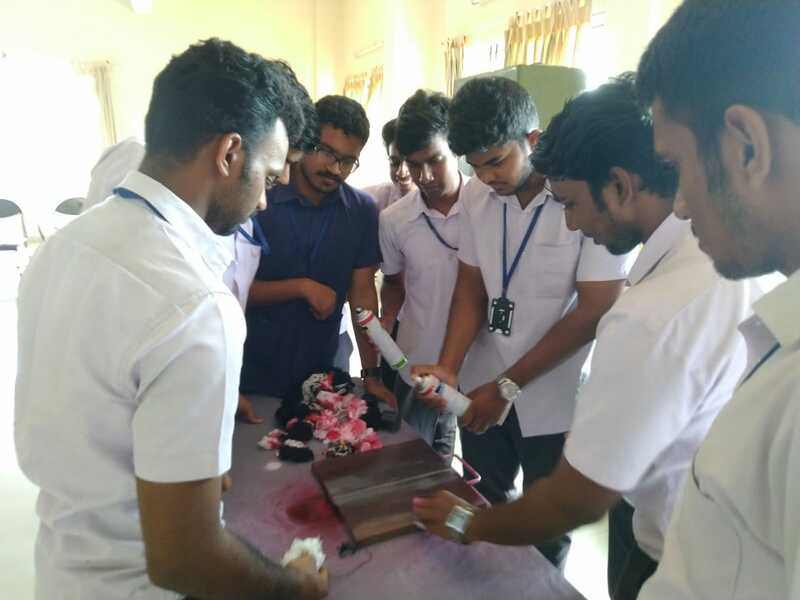 John Christopher urged the students to make maximum utilisation of the seminar and make the sessions more interactive.Two resource persons, Mr. P J Varghese, Hon. Secretary, IIW Cochin and Mr. P Govindankutty, Vice Chairman, IIW Cochin elaborated on different aspects of welding. The sessions ‘WELDING TECHNOLOGY – BASICS FOR ENGINEERS’ by Mr. P J Varghese and ‘QUALITY CONTROL OF WELDMENTS FOR BEGINNERS’ by Mr. P Govindankutty were focussed on providing fundamental information on various welding processes as well as the quality aspects of different welding techniques. 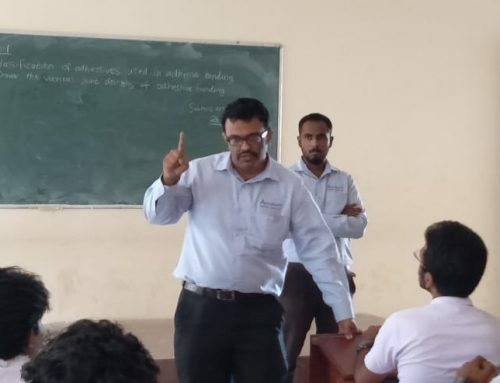 The sessions were interactive with students queries spanning from ‘achieving 100% quality in weld joints’ to ‘welding of material having BCC, FCC structures and so on’. The sessions concluded with a brief valedictory ceremony. 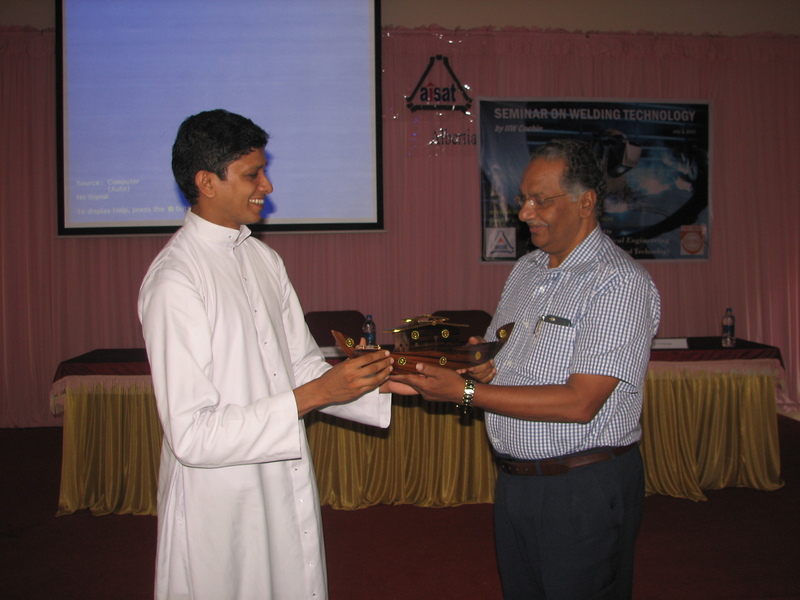 Mementos were presented to Mr. Jose P Philip, Mr. P J Varghese and Mr. P Govindankutty by Fr. John Christopher as a token of gratitude. IIW Cochin members Mr. K K Subramanian and Mr. Ramesh Babu P D were present. Mr. Roy Varghese, Asst. Professor, Mechanical Engineering, AISAT offered the vote of thanks.